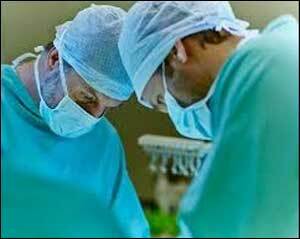 Doctors at lilavati hospital,Bombay, successfully recovered an LED bulb from the lungs of a five-year-old girl child by performing thoracotomy after a failed bronchoscopy. The mishap occurred after a girl child gulped a LED bulb used for diwali decorations. She was taken to a nearby local hospital after her mother noticed her becoming breathless. As reported by the local hospital, doctors tried removing the object through endoscopic surgery, as the object was presumed to be in the food pipe, which was not a successful attempt. A bronchoscopy was done after it was confirmed to be in the lower lobe of her left bronchus. However, the child developed a cardiopulmonary resuscitation and four DC shocks. In addition that, doctors also encountered a lot of bleeding in the lungs which led to putting her on ventilation. .
PV Battalwar, additional medical superintendent at Lilavati hospital said, ” Children between 3-6 years of age have a tendency to put small objects in their mouth like peanuts, small toys, safety pins, some metallic parts, etc. But this is the first time we have seen an LED bulb with two sharp metallic prongs being accidentally swallowed, which could not be removed by bronchoscopy and was malpositioned. Almost all foreign objects in the respiratory passage can be usually removed by bronchoscopy; surgery is required in just 0.5 to 4 per cent of cases. Subsequently she was transferred to lilavati hospital where doctors discovered that it was an LED bulb with two sharp prongs, placed inverted in the bronchus, therefore, it was difficult to remove the object via bronchoscopy. The bulb was dangerously close to her large arteries, therefore, the doctors planned an emergency retrieval- said Dr V Ravishankar, consultant cardiothoracic surgeon, who along with Dr Rajiv Redkar, consultant paediatric surgeon, performed the procedure along with anaesthetists Dr Namrata Kothari and Dr Madhuri Kharwadkar. Doctors did a left thoracotomy to access the chest cavity during surgery followed by a bronchotomy to open bronchus after the location of the object was confirmed. The LED bulb was finally removed after carefully taking out the metallic prongs embedded in the wall of her lungs.